The much anticipated Branded Toys Warehouse Sale is happening this week from 26 April to 1 May 2018 from 10.30am to 7pm! Plenty of toys for all ages and all genders at up to 90% off. 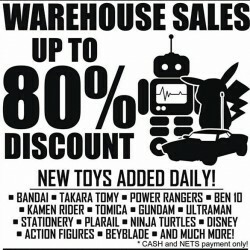 Previous warehouse sales include toys from Bandai, Takara Tomy, Power Rangers, Tomica, Gundam, Disney, Pokemon and more. 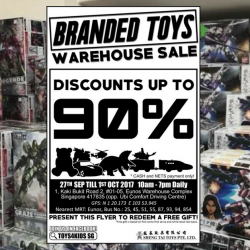 Till 1 Oct 2017 Sheng Tai Toys: Branded Toys Warehouse Sale Up to 90% OFF Bandai, Takara Tomy & more! The annual Branded Toys Warehouse Sale is happening from tomorrow till 1 October 2017! Get toys from Bandai, Takara Tomy and more at up to 90% off. Present the below flyer to redeem a free gift! 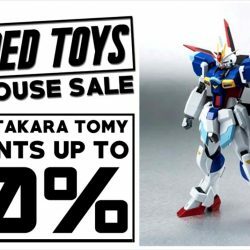 Till 1 May 2017 Sheng Tai Toys: Branded Toys Warehouse Sale Up to 90% OFF Bandai, Takara Tomy & more! The annual Branded Toys Warehouse Sale is happening from today till 1 May 2017! Get toys from Bandai, Takara Tomy and more at up to 90% off. Present the below flyer to redeem a free gift! 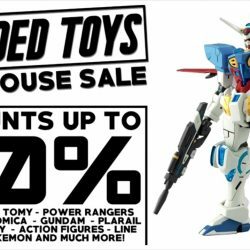 Till 2 Oct 2016 Sheng Tai Toys: Branded Toys Warehouse Sale Up to 90% OFF Bandai, Takara Tomy & more! The annual Branded Toys Warehouse Sale is happening from today till 2 October 2016! Get toys from Bandai, Takara Tomy and more at up to 90% off. Present the below flyer to redeem a free gift! 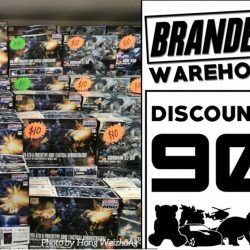 28 Apr - 2 May 2016 Sheng Tai Toys: Branded Toys Warehouse Sale Up to 90% OFF Bandai, Gundam, Disney, Pokemon & more! 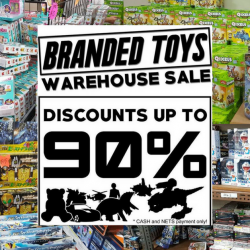 The annual Branded Toys Warehouse Sale is happening from 28 April to 2 May 2016! Get toys from Bandai, Takara Tomy, Power Rangers, Tomica, Gundam, Disney, Pokemon and more at up to 90% off. Present the below flyer to redeem a free gift! 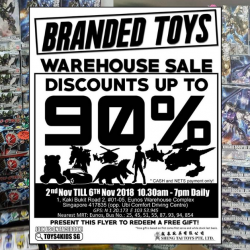 Catch the branded toys clearance and warehouse sale up to 80% discounts starting tomorrow at Sheng Tai’s headquarter warehouse located in Eunos Warehouse Complex.